OKLAHOMA CITY -- Midway through the fourth quarter, it didn’t matter that Dirk Nowitzki was in the midst of one of the worst postseason performances of his career. Superstars want the ball with the game on the line. As usual, Dirk delivered down the stretch. He had 10 of his 18 points in the final 7:22, allowing the Mavs to withstand the Thunder’s furious fourth-quarter run. Not that Nowitzki was flawless during that stretch, when he went 4-of-9 from the floor and committed a couple of turnovers, but he was good enough to get the job done despite failing to find a rhythm for most of the night. That’s what he always does in the fourth quarter. 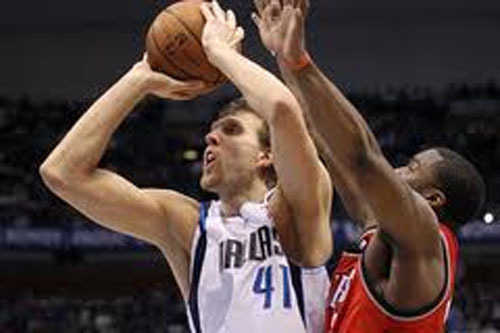 Nowitzki annually ranks among the league’s leading scorers in the final frame. He’s been even more productive in the final dozen minutes during the playoffs. Nowitzki is averaging 9.6 points per fourth quarter in the playoffs. He’s hit double digits in the final dozen minutes in seven of the Mavs’ 13 games this postseason, including six of their victories.